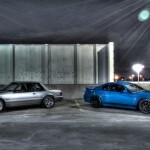 A buddy and I went out the other night to take some pictures and try our hand at HDR photography. 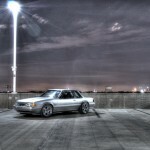 Some consider HDR somewhat artificial looking – and I agree but I like it! It was late at night and quite dark. The camera uses a long exposure time to get the brighter images. To be able to take HDR Pictures, you need to combine 3 separate images using special software like www.hdrsoft.com. You get these 3 images by using a DSLR Camera on a Tri-pod.